There are piles having diameter less than 300mm. 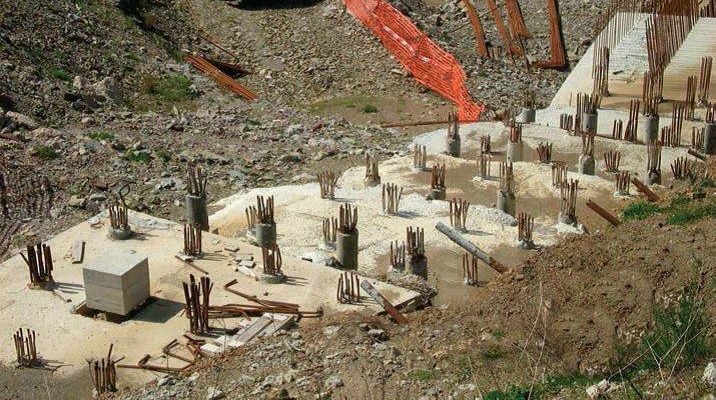 Capacity of micropile varies from 50 to 400 tons depending on size and substructure profile. Micropiles have capability to resist a combination of compression, tension and lateral forces. Micropiles are typically bored-cast-in-situ piles. They are constructed by drilling a bore hole, often using casing, than placing steel reinforcement and grouting with high strength cement grout into the hole. Load is mainly resisted by Steel Reinforcement. This coupled with skin friction between the casing – grout and grout – ground, makes micropile effective for both tension and compression. In limited situations, load carrying capacity can be achieved by end- bearing where piles are cast in competent rock formations. Micropile are usually design in group with each pile carrying an equal amount of load. The lateral capacity of the micropile can be improved by designing them as batter piles. Applicable to wide range of ground condition. Good for various loadings: Tension, Compression, Lateral and combined. Best suited for hilly terrains where large sized equipment’s cannot be mobilized.